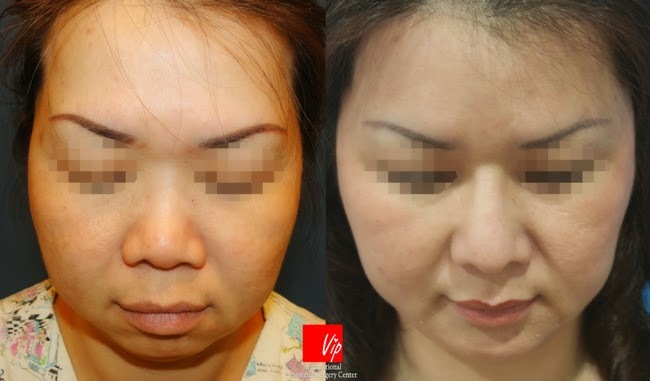 For the harmonious facial balance, chin is also an important factor. 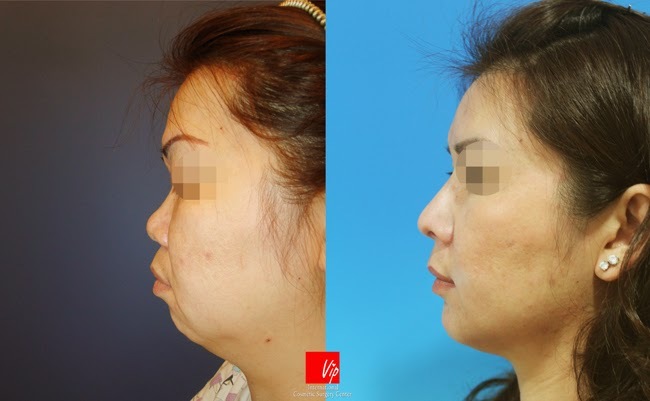 When doctor gives nose consultation to many patients, he often notices that the chin is short from the side view. 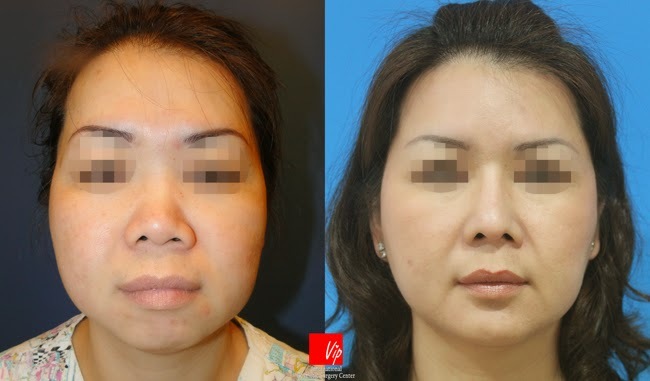 If only the nose is augmented in this case, the patient’s short chin may look more prominent after rhinoplasty from the profile view. 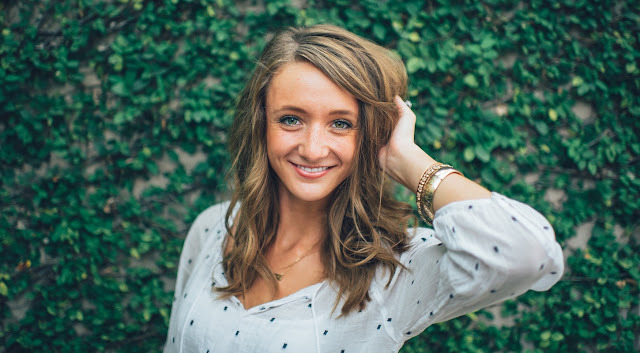 There are few semi-permanent and temporary methods to augment the weak chin which includes chin implant augmentation, facial fat grafting, or Hyaluronic filler injection. For the severely short or weak chin patient, they may not see an effective result after the chin implant augmentation or filler injection. 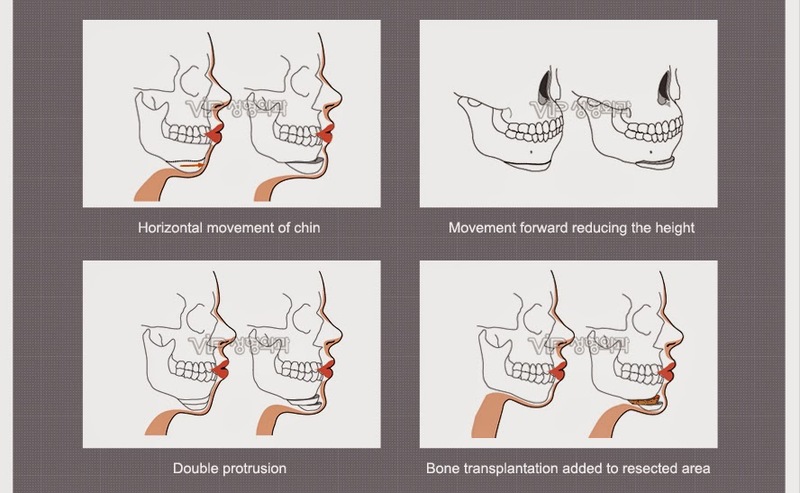 Also the mentioned procedures above cannot change the vertical dimension of the chin. 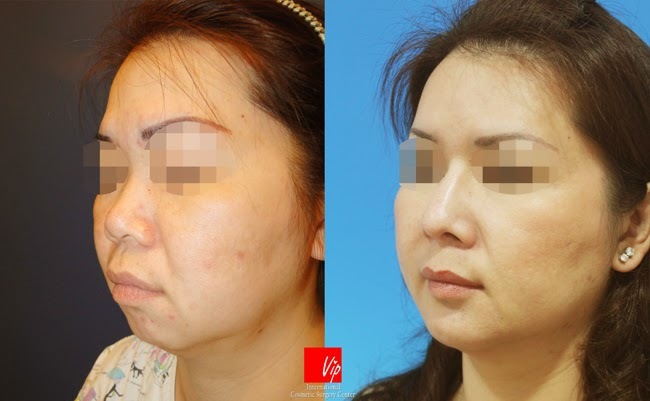 Thus, for the patients who seek for permanent or effective result, genioplasty would be the ideal surgical procedure for the short and weak chin. The surgery is done from making incision inside the mouth to avoid any external scarring. Facial bone surgery is usually done under general anesthesia, so the patient will go through body exams and take x-ray photos to make sure he or she is in suitable condition. The general method is incising the lower chin bone horizontally and making fixation with a medical wire. However, the method differs by the patient’s case as you can see below. Bone surgery usually needs few weeks for the initial swelling to go down, and full recovery from the swelling may take 3-6 months or more depending on individual’s condition.